Oct. 18, 2018: Barrie Police have reported that a dangerous strain of suspected Heroin and/or Cocaine has surfaced within the community. The substance is believed to have a purple colouring and is suspected to have been consumed in a recent sudden death and overdose. In response to the national opioid crisis, the House of Commons Standing Committee on Health consulted a range of stakeholders, including federal and provincial government representatives, health care professionals, addiction experts, emergency frontline responders, representatives of First Nations communities and individuals with lived experience in substance abuse and addiction. These witnesses outlined specific ways to address this opioid crisis and implored the Committee to make recommendations that would lead to concrete action. Through their stories, the Committee also heard first-hand the extent and depth of suffering of those most directly affected by the opioid crisis. This is the report of those consultations. 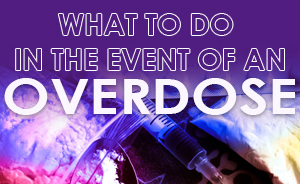 This federal legislation amended the Controlled Drug & Substances Act to more clearly define an overdose and to exempt from possession of substance charges persons who seek emergency medical or law enforcement assistance for someone experiencing an overdose. The status and trends of the illicit drug trade, which includes Fentanyl, Fentanyl analogues and other potent synthetic opioids and analgesics in Canada are ever evolving. The intention of this site is to provide first responders with accurate safety information related to situations where opioids may be involved. Resources and guidelines for protecting emergency responders and other workers at risk of exposure to fentanyl. Recommendations to address the current opioid use disorder crisis in North America. This well-researched publication explores the underlying social factors that play a role in the current public health aspects of the opioid crisis. A guide for Police agencies to aid in the identification of drugs. The Ontario Provincial Police resources about opioids. Email to report broken links on this site.